At Regence, we often say that “giving back is in our DNA” – and this couldn’t be more accurate. In 2018, our fearless volunteers dedicated more than 10,000 hours of volunteer service to nonprofit organziations across Washington, Oregon, Idaho and Utah, at a value of $247,000. 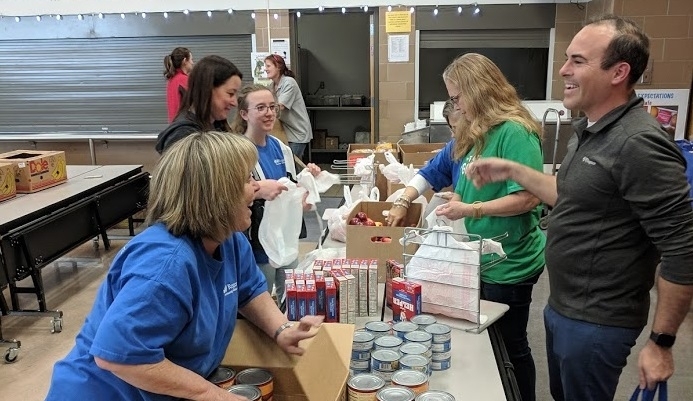 In honor of National Volunteer Week – April 7-13 this year – we recognize the efforts of our volunteers, who are dedicated to giving back to their communities. From addressing food insecurity and other social determinants of health to supporting addiction prevention and education, the game-changing partnerships we cultivate with organizations help to enhance quality of life. Together, we are working to ensure that our communities are as healthy as the members we serve. We encourage you to recognize the efforts of volunteers in your own life, this week. Follow #NationalVolunteerWeek on Twitter to read the inspiring stories of individuals who are making an impact across the county.